Party leader Heinz-Christian Strache and the FPÖ’s recently defeated presidential candidate Norbert Hofer attended the signing ceremony in Moscow, as did officials of Putin’s United Russia party including Pyotr Tolstoy, a deputy chairman of the lower house of parliament. The FPÖ has long taken a pro-Russia stance, calling for an end to European Union sanctions against Moscow imposed over the annexation of Crimea and the conflict in eastern Ukraine. It has also denied allegations that it receives funding from Moscow. On a recent visit to the United States, FPÖ officials met people close to President-elect Donald Trump, including his pick for national security adviser Michael Flynn, the FPÖ said in a statement announcing the Russian deal. “The FPÖ is further gaining influence internationally,” its statement said, without specifying the agreement’s content. 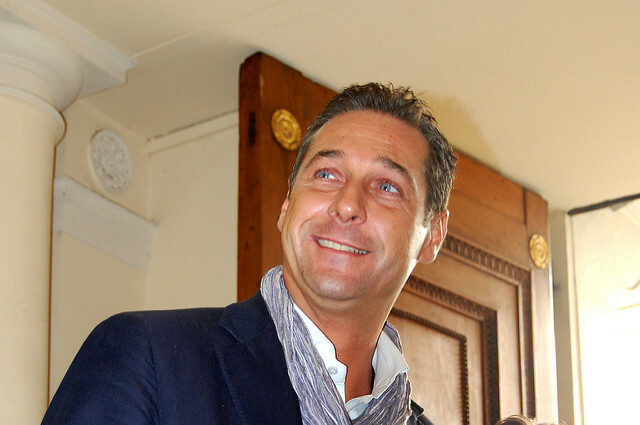 A spokesman for the FPÖ – which this year achieved a record election score but failed to secure the Austrian presidency – said he did not know the deal’s details. “It is particularly important to Strache that the US and Russia stand shoulder to shoulder,” the statement added, saying that could improve the situations in Syria and Crimea and lead to a lifting of sanctions on Russia. “The FPÖ acts as a neutral and reliable intermediary and partner in promoting peace!” it said.